The following example is a simple Settings class usage example. 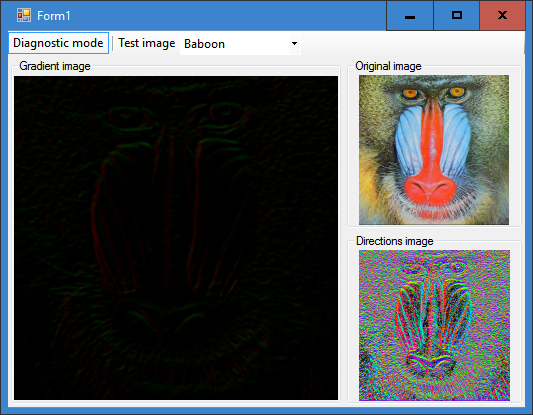 The application is a single-form application that calls the GradientImage function for a test image. The function has one diagnostic output which provides directions image only if AvlNet.Settings.IsDiagnosticModeEnabled is set to true. User may modify this value with checked state of the Diagnostic mode tool strip button.